Often we find ourselves making complex decisions for our patients, and transfusion medicine is no different. 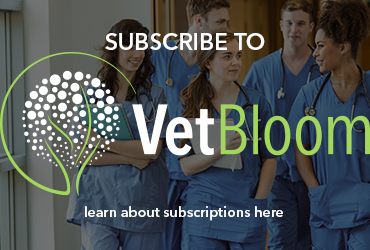 Whether you are stabilizing a Boxer with disseminated mast cell disease and a hemorrhaging gastric ulcer or reviewing potential perioperative complications for a greyhound requiring limb amputation realizing, due to client constraints, blood products will not be an option, as a clinician you have some considerations for your patient. The availability of blood products, need for transfusions versus risk, pathophysiology of the underlying illness, and complementary treatment options are important considerations. While there are resources available to guide the clinician in determining the need for blood transfusion, how to prepare and administer transfusions, and potential transfusion complications (Pennisi 2015, Giger 2015, Davidow 2013), there is a paucity of literature when thinking beyond allogenic transfusions. We will review the pillars of patient blood management, including maximizing red cell mass, optimizing hemostasis, and techniques to recover active hemorrhage, all to optimize the patient’s restoration of red cells. Erythropoietin supplementation, when endogenous levels are decreased, has the potential to raise hemoglobin levels, decrease the need for blood transfusion, and improve patient’s quality of life by decreasing signs of anemia. Parenteral administration, though beneficial, requires 2-3 weeks for initial effects. Risks include thrombosis, hypertension (Hazzan 2014, Tonia 2012), and development of anti-erythropoietin antibodies (Polzin 2013). Darbepoetin alpha (Aranesp®), is the form of erythropoietin preferred in veterinary medicine due to a longer duration effect and suspected lower incidence of anti-erythropoietin antibodies (Polzin 2013). Autologous blood conservation techniques require the patient donate their own blood before a procedure when hemorrhage is a suspected risk. While this technique has not been formally investigated in veterinary medicine, in human medicine when used as recommended, patients have decreased dependence on allogenic transfusion. Collection of 10-15 mL/kg divided into 2 donations and an interval of at least 21 days from initial donation to the time of the procedure, accomplishes a 70% recovery of red cell mass maximizing the effectiveness of this technique. While the risk for an immunogenic reaction is nearly eliminated, storage lesions and risk for bacterial contamination occur as they would for any transfused unit. Autologous blood conservation techniques may be considered for a limited patient population (Singbartl 2013, Spahn 2013). Ensuring your patient has the ability to form an initial platelet clot (primary hemostasis), further stabilizing the patient through integration of fibrin (secondary hemostasis), and making sure that clot is not broken down too rapidly (fibrinolysis), will further limit patient losses. It is important to consider signalment and underlying disease as they can serve as guides to optimization of hemostasis. Desmopressin acetate (DDAVP®), a vasopressin arginine preparation has been used for the treatment of patients with von Willebrand disease, mild factor VIII deficiency, and thrombocytopenia. In veterinary medicine, it’s used to maximize hemostasis has also been described in immune-mediated hemorrhagic disorders (Giudice 2010) and acetylsalicylic acid-induced coagulopathy (Di Mauro 2013). The administration of desmopressin acetate as a perioperative adjunctive therapy decreases hemorrhage for a particular pathology, but its routine perioperative use in humans did not decrease the need for perioperative blood transfusion (Carless 2014). Epsilon-aminocaproic acid is a lysine analog that reduces the rate of blood clot degradation through inhibition of the plasmin-plasminogen system. Excessive fibrinolysis has been documented in greyhounds (Marin 2012), trauma patients and a variety of other disease processes. With appropriate intervention, transfusion requirements have been dramatically decreased. Cell salvage – While direct autotransfusion remains an option, further refinement through the use of cell washing units and leukoreduction filters have helped to decrease risks of bacterial contamination, immune stimulation and limit the hematogenous spread of neoplastic diseases (Nieder, 2004). The successful use of this technique has been described in a few veterinary publications (Kellett-Gregory 2013, Hirst 2012) and while there are additional equipment costs, potential advantages included a cost-effective reduction in reliance on banked blood for massive transfusions and minimized morbidities associated with the use of administration of stored blood products. Through critical periprocedural risk assessment, maximization of red cell mass, optimization of hemostasis, skilled surgical technique, and carefully considered blood salvage, we can minimize loss, risk and cost while maximizing regenerative capability and recovery of our critically-ill patients! Dr. Chap Pratt was born in Elko, Nevada and grew up in Reno, Nevada where he earned his Bachelor’s degree in Veterinary Science from the University of Nevada. He attended Colorado State University, attaining his Doctor of Veterinary Medicine degree in 2006 after which he completed a one year rotating internship in small animal medicine and surgery at Veterinary Specialty Hospital in San Diego. After four years of practicing emergency medicine at the Animal Emergency Center in Reno, NV, he was accepted into the residency-training program at University of Pennsylvania. In 2014, Dr. Pratt completed his residency training in Emergency and Critical Care and became board-certified. At the Veterinary Specialty Hospital in San Diego, he was active in developing the Emergency and Critical Care program’s advanced training, including residency, specialty internship and continuing education, clinical research, sustainable blood bank while targeting optimal patient care and prioritizing collaborative patient care with the team of specialists and family veterinarians. 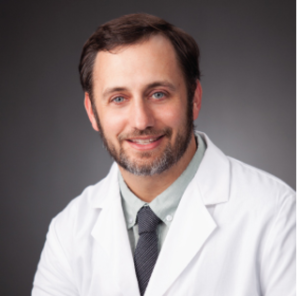 Dr. Pratt’s clinical and research interests include management of utility of advanced imaging in trauma, trauma, sepsis, and associated multi-organ dysfunction syndrome with a focus on resuscitation, fluid balance, extracorporeal therapies and ventilator management. His experience in emergency medicine has also allowed for development of research interests in toxicology, feline lower urinary tract disease and foreign body ingestions.